The first thing is these instant manicure stickers you can just "stick" on to your nails and you're ready to go. I found a cute light purple/pink set of strips, and decided to try them. This photo is took after wearing these for about 12 hours (7 of which spent sleeping, and having done nothing too harsh with the hands...) So, when it comes to the durability, these wouldn't be my number one choice. I don't know if it shows, but they started breaking already. And I don't even dare to show them now after dish-washing and postal work... Gosh. But they are cute and fun for a night out or a party. 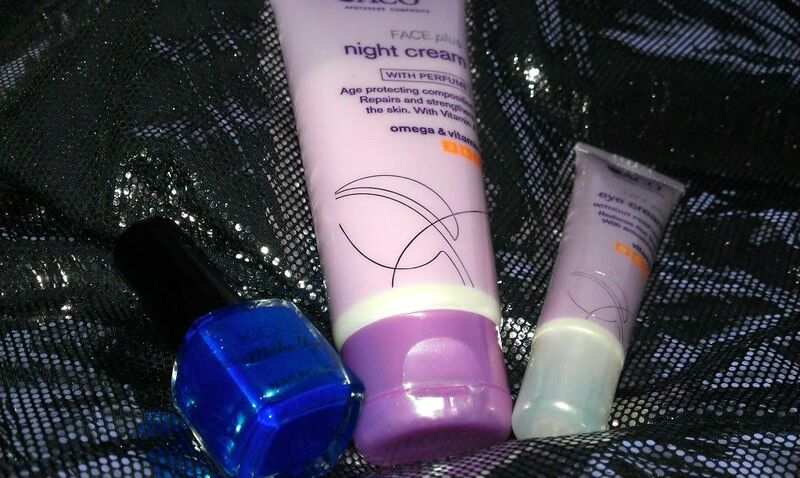 ACO night cream (yes, I too think it's for older skin than mine... but it was the only from the brand. Can't hurt, right? ), ACO eye cream (again, I rather start protection Before the wrinkles.) 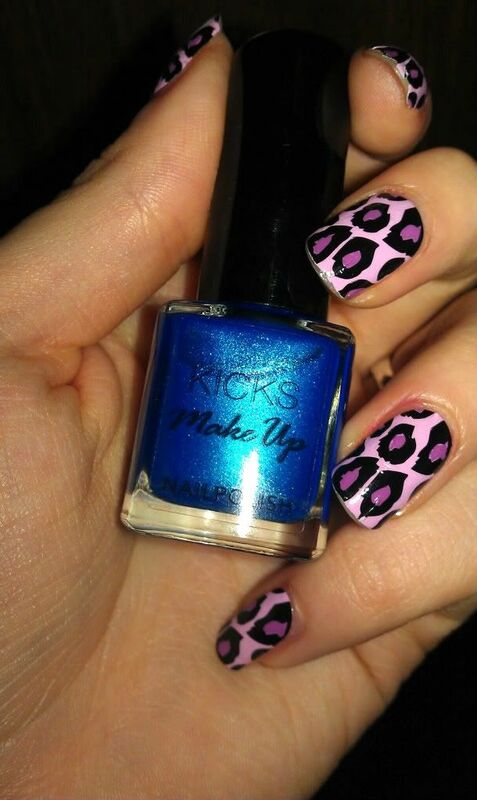 and Kicks Make Up Nailpolish. Loved the colour, and I'm actually going to try this in a few minutes. But what I can say about those creams is that they work well. Like of course anything from ACO does, in opinion. The night cream really moisturizes the skin, and the eye cream soothes the skin around the eyes. They smell nice (well, not as good as the Young series of the same brand, but still...) and the skin really becomes smooth. Also, I have a random beauty fact: Did you know that you can scrub your lips gently with honey if you have dry lips? You'll probably still need your lip balm, but it's sweet (in all the meanings of the word) way of treating your lips. I tried it the other day and was amazed that it really worked! I think that's all I was supposed to say today. And I love the blue nail polish you got! The honey fact is really interesting!! Thanks so much for the honey fact! It's definitely one to try out! I try so many different creams on my lips but none seem to work! 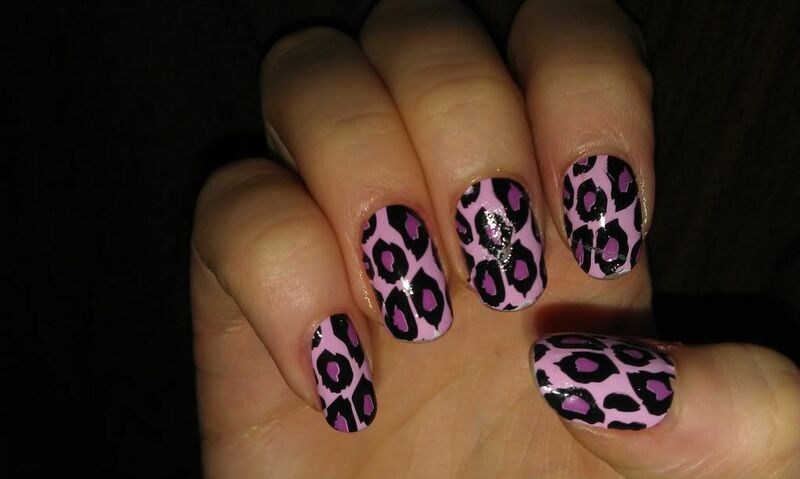 I love the nails as well! very hip!